For those of you who have never been to New England in the fall, you're missing out. All around us, the world bursts forth with color in a stunning visual symphony. Every year at this time, as we begin to feel that fall crispness in the air, certain things get set in motion. First, the familiar smell of wood burning begins to come from chimneys as local homes are warmed within. Things like summer decor and patio furniture are being put away and homes are being decorated with pumpkins and cornstalks. Lawnmowers are put away and snowblowers are being tuned up. But the very best part of fall in New England is the food. Around this time I start craving all those hearty fall recipes; beef stew, apple pie and pumpkin flavored anything. 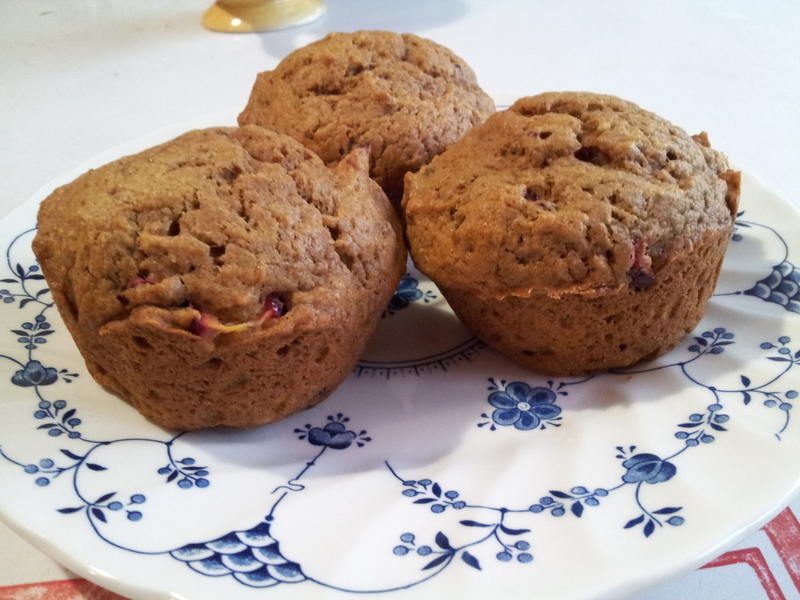 So this morning I made one of my favorite fall recipes: Fall Pumpkin Muffins. These are delicious! Whenever I bake, I double or triple the recipe. I do that for a few reasons; first, there are six of us, and because if I am going to bake, it doesn't take any more time to make a bigger batch and then I have some to put in the freezer or for us to eat later or the following day (they don't usually make it to the freezer). Add some mix ins: 1 Cup Walnuts - chopped, 1/2 Cup Raisins, 1/2 Cup Chopped Cranberries, etc. Grease Muffin cups. Preheat oven to 350 degrees. Mix together all dry ingredients in bowl. In separate bowl whisk the eggs then whisk in the pumpkin and the melted butte and the lemon peel. Stir in the dry ingredients and the mix ins. Spoon into muffin tins and bake for 20 - 25 minutes. Now, I must admit I don't make anything like the original recipe says. The above recipe is the muffins as I make them. The original recipe called for 1 cup of sugar, but in an effort to keep my family eating better, I reduce the sugar in anything I bake by at least half, and I don't use white sugar but usually use evaporated cane juice crystals or other raw type of sugar. Also, for the mix ins, you can use what ever you want. Today I used chopped cranberries because it's what I had on hand, you can omit the grated lemon peel if you don't have any handy. If there is something you are trying to sneak in to your family's diet, this is a great recipe for that, you can add things like sunflower seeds, flax seeds, or other things. Make these tomorrow, your family will be glad you did, if you do, let me know how you made them and how your family liked them.